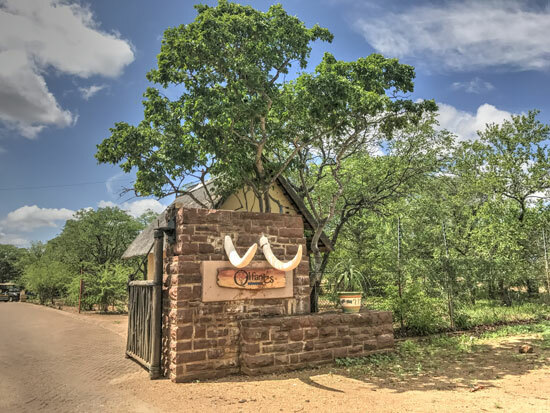 Guests that visit Olifants Rest Camp in the Kruger Park, will be exposed to an unforgettable window of Africa. 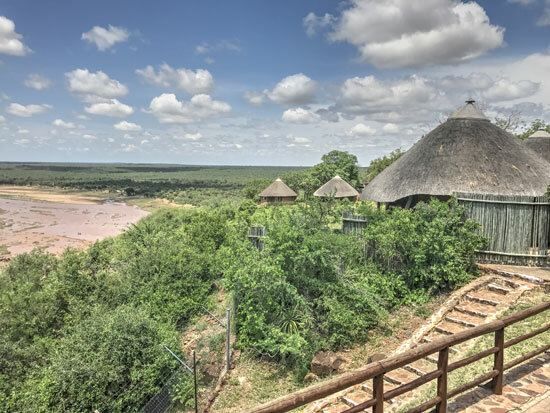 Olifants camp is situated atop a hill which towers several hundred feet over the Olifants River. Views from the lookout platforms allow one to see the river below, just as a soaring eagle would survey it, as it hunts from the skies. There are so many creatures to see and sightings of rare species can be the highlight of your trip! 8-bed Lebombo and Nshawu Guest Houses, each with 4 en-suite bedrooms, fully equipped kitchen and a communal lounge. 4-bed Guest Cottage with 2 bedrooms, 2 bathrooms (one en-suite) and fully equipped kitchen. 4-bed Family Cottage with 2 bedrooms, bathroom and partially equipped kitchen with basic cooking and eating utensils, cutlery and crockery. 2/3-bed Bungalow on the perimeter, with or without river view, with bathroom (bath/shower), fridge, hotplate, sink, basic cooking and eating utensils, cutlery and crockery. 2/3-bed Bungalow on the perimeter, with or without river view, with bathroom(shower), fridge, basic cooking and eating utensils, cutlery and crockery. 2/3-bed Bungalow with bathroom (shower), fridge, basic cooking and eating utensils, cutlery and crockery. Visit Picnic Sites in Kruger National Park. Mountain Bike Trails (New product - Morning, Afternoon and Full day) The procedure for MTB Trails is very similar to the guided bush walks. There is place for a maximum of 6 participants per trail. Two qualified and armed field guides will lead the trails. Olifants Camp will supply the mountain bikes. Backpacks, water bottles, bicycle helmets and snacks will also be provided. A full bush interpretation will be done on the trail (interesting nature signs and wild life sightings). Astronomy (Stargazing) - Presentations of the southern hemisphere skies and African star lore, followed by night sky viewing through a large telescope, are combined with sunset and night game drives from Olifants Rest Camp to a remote site on the river bank where the telescope is set up for the evening. Keep up to date with the movements of the wildlife in the Kruger National Park by consulting the sightings map at reception, it is updated daily! 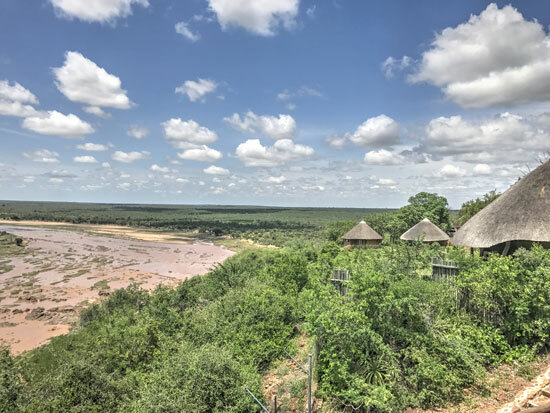 Olifants Camp is one of the most beautiful camp in the Kruger National Park, with a panoramic view overlooking the Olifants River. Olifants has been awarded the camp of the on a number of occasions! 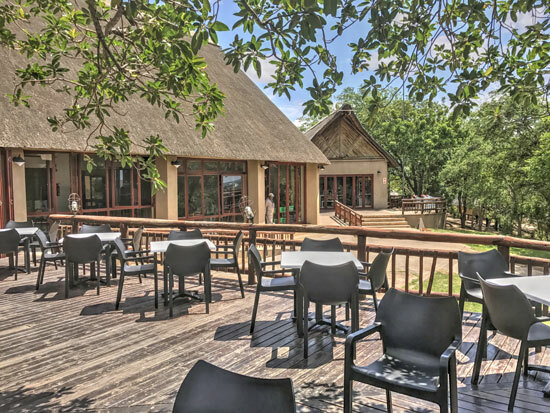 Staying at Olifants will definitely give you the best of the Park accommodation. The restaurant is situated to the right of the view point and is now under the Mug and Bean franchise.